I am very pleased to report that the launch of our dedicated Subcommunity on ResearchGate went smoothly, beyond any hopes and dreams I may have had. Many thanks to all of you for participating in this successful outcome, and here’s wishing you a most productive experience networking with our new site. As of this time we have 31,137 members in our Subcommunity, the largest by far of all groups on ResearchGate. However — and this is a good part for us — ResearchGate has over 600,000 participating scientists and engineers overall registered, and we now have direct access to all of them. For the while, though, and maybe permanently, I am restricting access of the outsiders from ResearchGate into our Sigma Xi Subcommunity in order to limit extraneous and distracting communications, and to reserve our exclusivity. A strong attracting feature for new members of Sigma Xi is participation in our Subcommunity, which is offered as a benefit of membership. As our Society accelerates our project to expand the chapter and membership base, this will be an important chip to play. Again, many thanks for the support of the entire team engaged in developing this relationship. We can be justly proud of this accomplishment, and the best part will be seen in the quality research entering the literature as a result of networking on this fine facility. 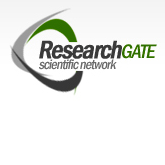 Please contact me personally on any issues you may have regarding the ResearchGate connection. I promise a prompt reply to resolve all matters to your satisfaction. This entry was posted in Blog, Sigma Xi on 03.11.2010 by Paul Carlisle Kettler.